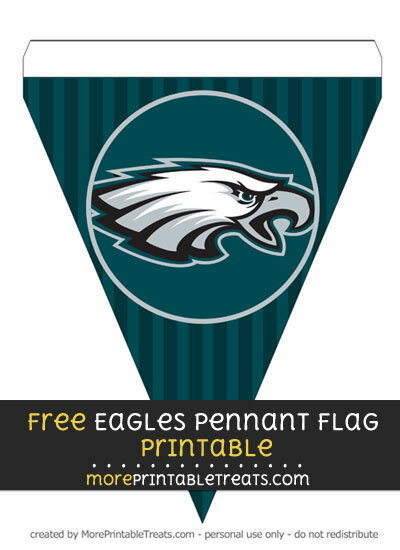 Print up for game day this awesome Eagles striped printable flag. This Eagles flag has a teal green background with a gray circle outline. There is a striped pattern with darker teal on the background and the Eagles logo is in the center of the outlined circle. There’s one flag in this download file. You can string a bunch of these together and hang it up or print out the other Eagles pennant flags I have posted here and string all the different designs together. To find the Eagles banner letters search “Eagles” under the category Party Banners.